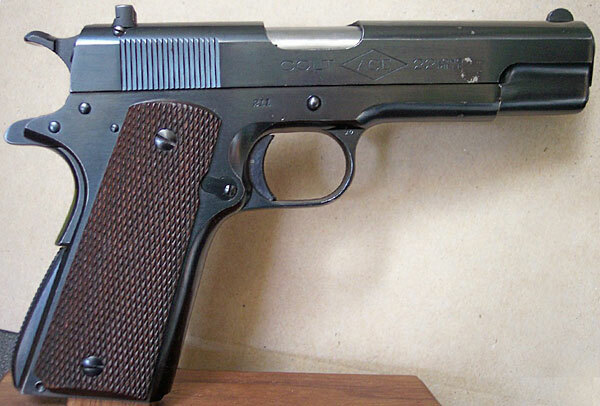 Colt Ace serial number 211 - Early Ace pistol, blue with checkered walnut grips, manufactured in 1931. Left side view. 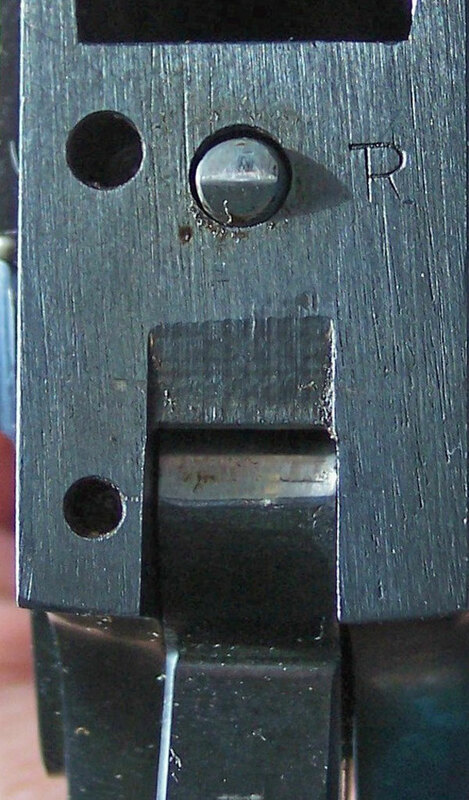 Notice the semi-circle localized hardening mark around the groove to hold open the slide. Close-up of underside of slide. 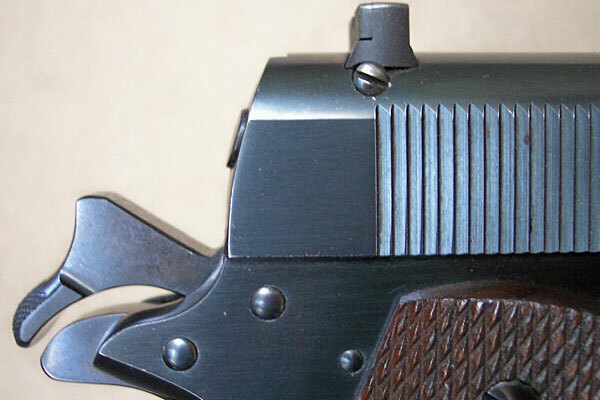 Notice how firing pin stop of the Ace model has a roller on the bottom. Firing assembly from top to bottom: Firing pin stop, firing pin and firing pin spring. Rear of slide has serial number 211 which matches the number on the frame. Close-up of right side slide markings and serial number. 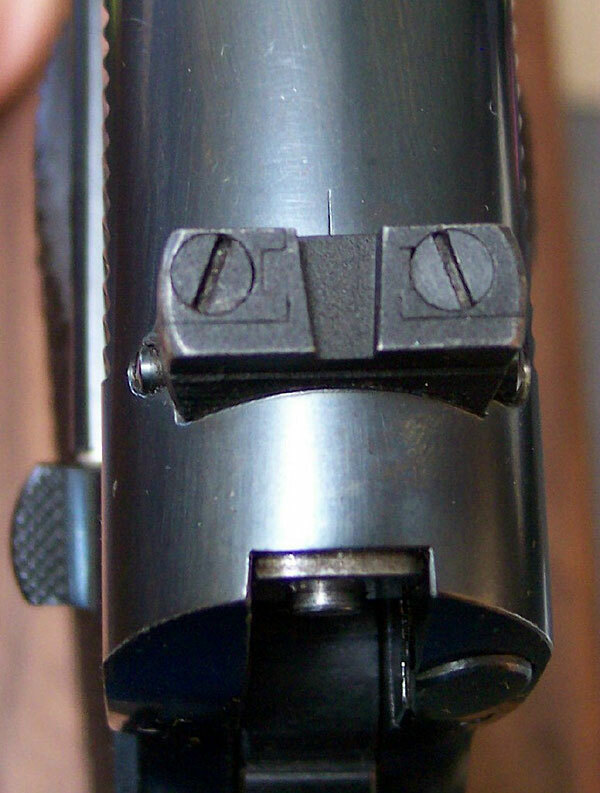 Right profile view of adjustable rear sight. Original two-tone magazine. 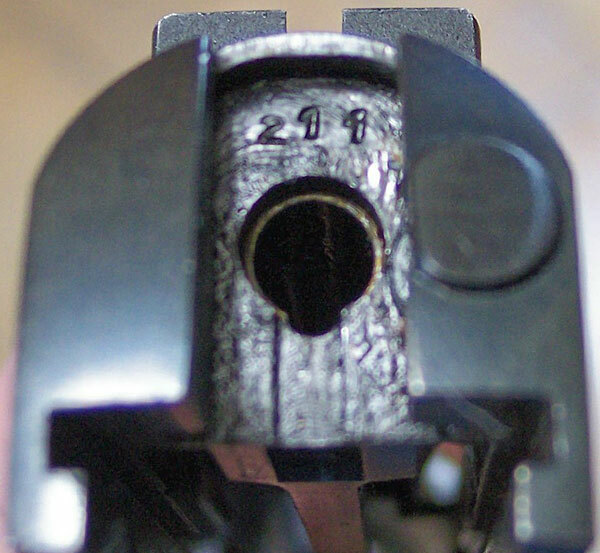 Hole in rear of magazine (visible in the photo below) does not appear on all Ace magazines. 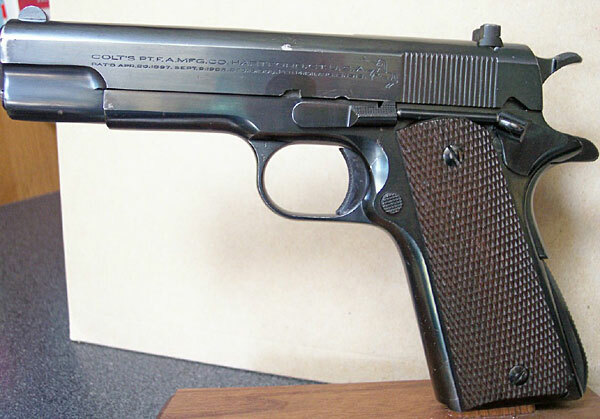 Later two-tone magazines have been observed without the hole.